After graduating from the Collegium Augustinianum Gaesdonck, Winfried Toll studied theology and philosophy in Münster and Freiburg (Breisgau) before he went on to study composition and music education with Klaus Huber and Brian Ferneyhough at the Freiburg Conservatory of Music. Following his examinations he studied voice with Elisabeth Schwarzkopf and Aldo Baldin as well as conducting with Hellmuth Rilling. At this time he taught music and voice at the Freiburg Conservatory of Music and began an active career as a concert and opera singer. In 1988 Winfried Toll became the conductor of the Camerata Vocale Freiburg and from 1994 until 2002 he was the choral director of the Kölner Bachverein. In the Fall of 1997 Toll was called as Professor of choral conducting to the Conservatory of Music and Performing Arts in Frankfurt/Main. He was also elected artistic director of the Frankfurter Kantorei. Since 2007 Winfried Toll has been the principal artistic director of the Daejeon Philharmonic Choir in South Korea. He received numerous invitations from outstanding orchestras and ensembles as guest conductor (Concerto Köln, Deutsche Kammerphilharmonie, Gürzenich Orchestra Köln, Freiburg Baroque Orchestra, Balthasar- Neumann- Choir, SWR Vokalensemble Stuttgart, RIAS Kammerchor). Since 1994 he has been a regular guest professor at the Musashino Academia Musicae in Tokyo, as well as in South Korea, in the Czech Republic and in South Africa. While still at university, Winfried Toll wrote his first successful compositions: the Organ work “Wegkreuze” received the prestigious “Altenburger Dom” prize. In 1981 a prize for his “Psalm 13” for choir, solos and orchestra followed. In 1985 Winfried Toll received an award from the international Bachakademie in Stuttgart for his composition “Wenn Ich Dein Je Vergesse” for 16 solo voices and mixed choir. His composition “… und hat über uns Gewalt” was premiered by the Camerata Vocale Freiburg in Nov. 1996 as part of the 71st Bachfest of the Neue Bachgesellschaft in Freiburg. 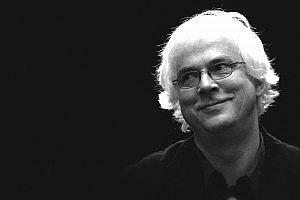 In Juli 2001 Winfried Toll was commissioned by the festival “Stimmen” in Lörrach to compose a work for the Rascher-Saxophon-Quartett and vocalensemble. This work “Reverie” was sung in a world premiere by the Camerata Vocale Freiburg.